The response to writing my Soldier has been incredible. Most of us do not understand how wonderful it is for a military person to hear from loved ones and friends. The longer I am a mama of a Soldier, the more it sinks in. For my son, he has loved every single message. Here’s why. Imagine marching 800m through the swamps, then doing a 9k patrol base at night followed by a 17k back. Your letters matter to these weary men. Picture getting 30 seconds to inhale an MRE (meals ready to eat) somewhere in the mountains but then getting a funny card from a friend delivered to you sometime during training. It can kind of make you feel like a person for a second. If there’s a stick of gum inside, even better! So today I want to highlight some of the incredible letters and cards Nate has been receiving, I’m amazed at everyone’s thoughtfulness. We’re not done yet, so please keep writing, I feel blessed because of you. Dog owners – Can you believe that Nate is getting a letter from a couple who adopted our emotionally disturbed greyhound, Toughie? Years ago, we were the owners of a retired racing greyhound. Poor Toughie was an emotional basket case and we had to find him another home. Before going over the Rainbow Bridge, Toughie found some infinitely patient souls to care for him. 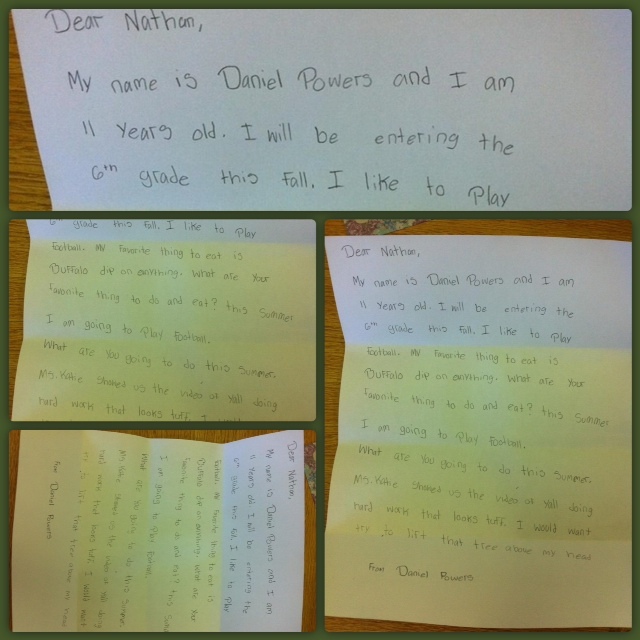 Now they are sending Nate a letter! Oh how he will chuckle seeing the name Toughie again! Oh dear nephew, your cousin will cherish this picture forever! He will love all the detail and action! I love you and so does Nate! RLTW! 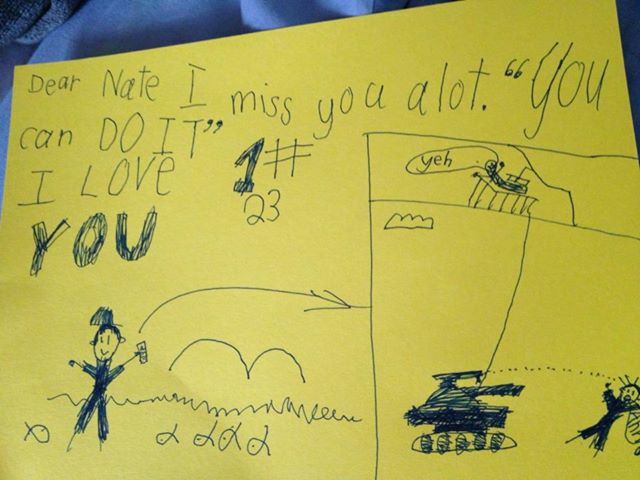 Cousins – This picture is from Nate’s seven-year old cousin, Jon. The more I look at this picture, the more I love it. Tanks, swamps, fish, words of encouragement, this drawing also has plenty of action and Nate is smiling through the whole thing. I’m not so sure about that in real life but I do know this. 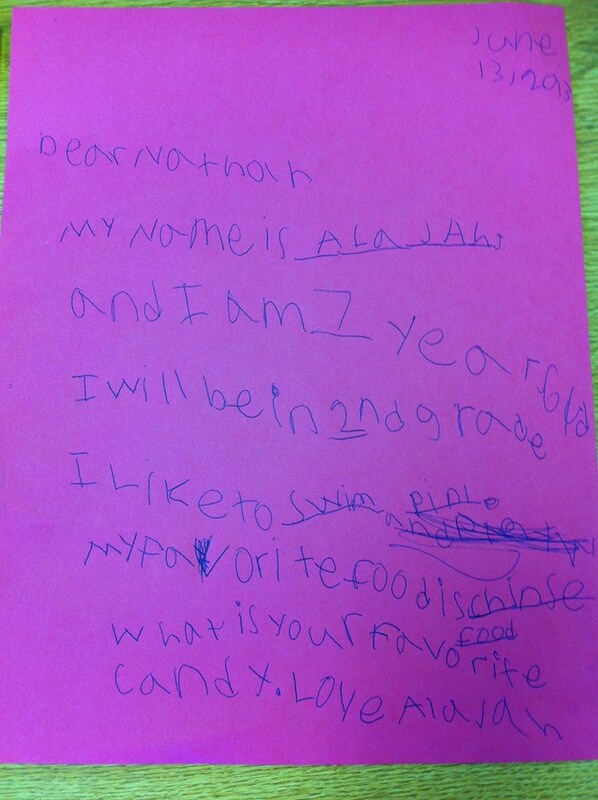 Nate will grin ear to ear because of this letter. According to Jon, Nate is the #1 23-year-old and I have to agree! 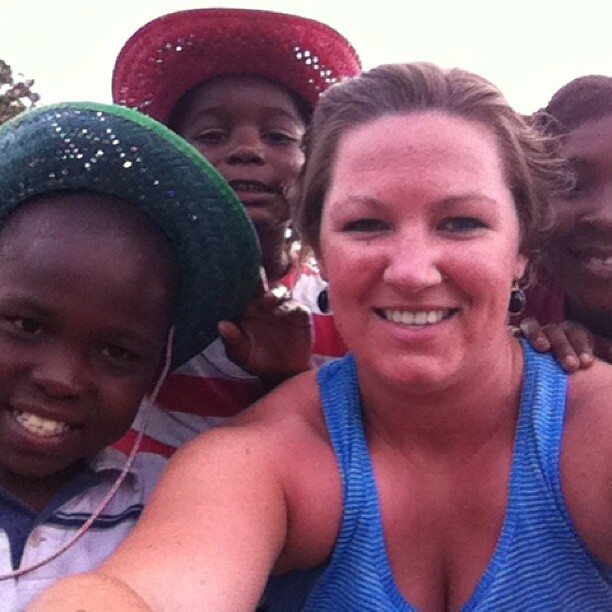 Katie and the kids she’s working with this summer. Classmates and cool kids – One of Nate’s high school classmates is working with K-5th kids this summer. Daniel, this is a beautifully written letter. You are a really nice guy! Stacey, this letter is a work of art. Nate will love it! Thank you Alajah for thinking of my Soldier. 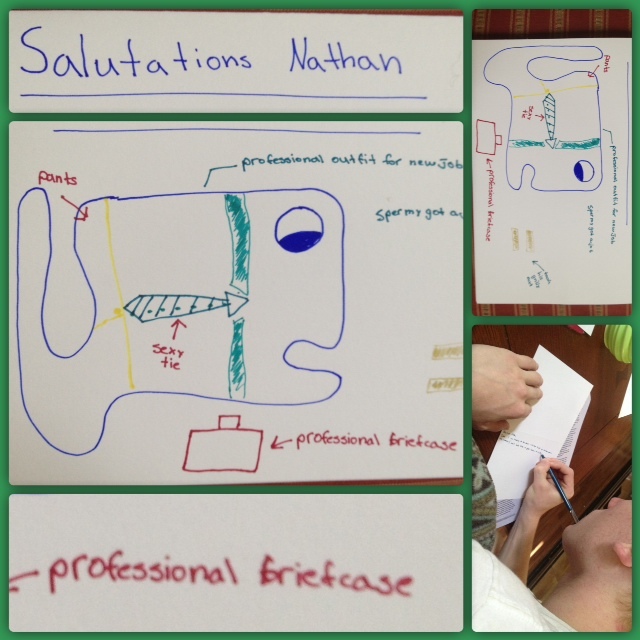 Since Nate is a strong example of perseverance, obedience, courage and integrity, determination, Katie had an idea. Last week she talked to her kids about unconditional love. Then the kids sent him some snail mail. Just look at the adorable sentiments expressed by these precious children! So bright and colorful! Much prettier than looking at the swamps! Thanks y’all! 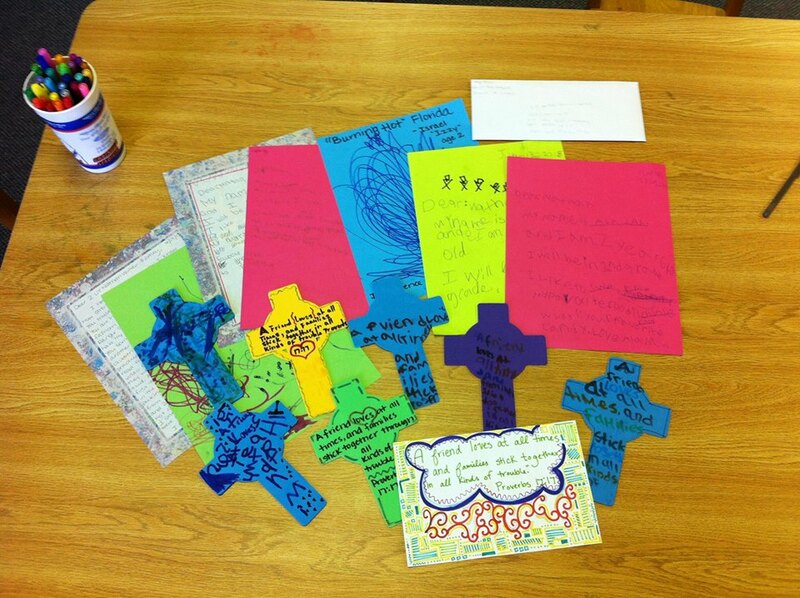 Thanks to Katie and her efforts, Nate will receive 30 Scripture filled letters from these boys and girls. This will mean the world to him! Brothers – Equally delightful are the cards my orange hair, freckle face OS sends his brother. It takes a unique mind to come up with this character. What a creative little brother! Spermy the Whale is the featured character Ike created during his middle school years. Spermy now makes regular appearances on correspondence with Nate. In particular, Nate has specifically mentioned how much he enjoys getting these bizarre greetings. Ike really makes some interesting cards…I know he enjoys sending them to his bro. 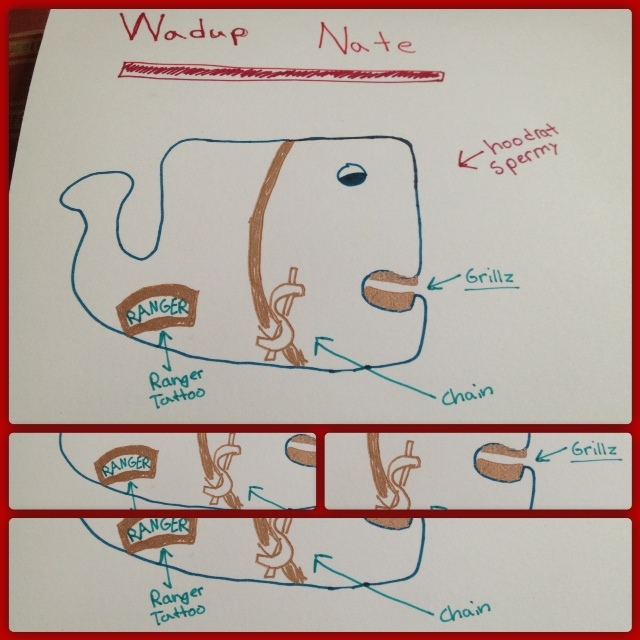 It would seem that Spermy the Whale is transforming from a gangsta with grillz and a gold chain to entering the business world sporting a briefcase and a professional tie. The grillz are now a thing of the past. Um, ok! My joy multiples as a mom. 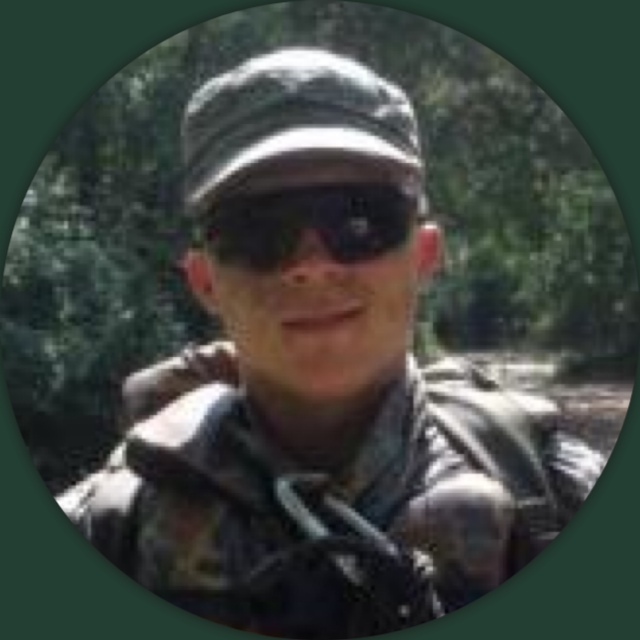 On behalf of all the families we represent who have a son, fiance, husband, boyfriend or brother in Ranger School, know it is a highlight for us to know others care. From Korea to California, Texas to Michigan, El Salvador to New York and all points in between, thank you, bless you. We should never undervalue the significance of sending support to our military servicemen and women. 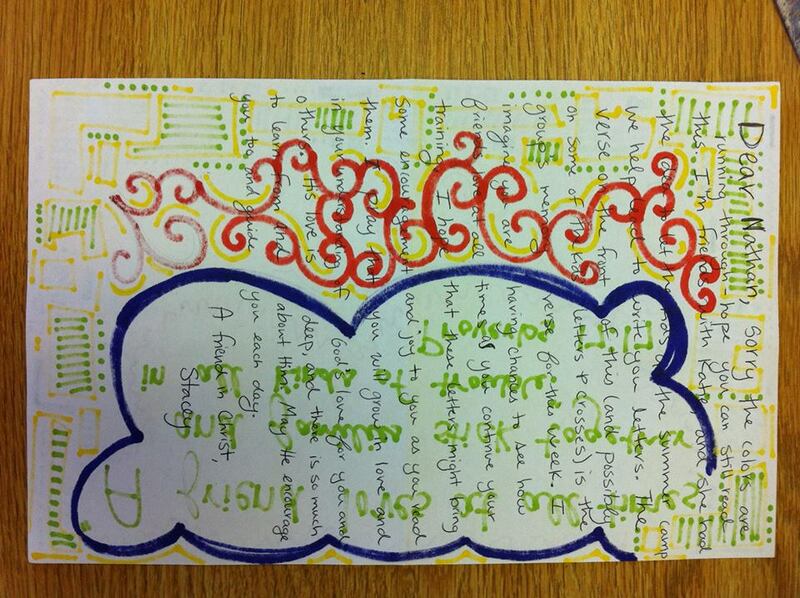 Questions: If you have a special person in the military, how have letters and cards helped your loved one? What are creative ways you offer support to others! Let’s share ideas! This is so fun to read! Could you please email me his address? Thanks so much and prayers continue for Nate! Yes, I will be happy to give you Nate’s address! How sweet of you! Yes, Gigi, I’ll send you his address! So nice of you! Thank you so much, I marvel at people’s kindness! Praise the Lord for when others care for our loved ones! Thanks Sandy! 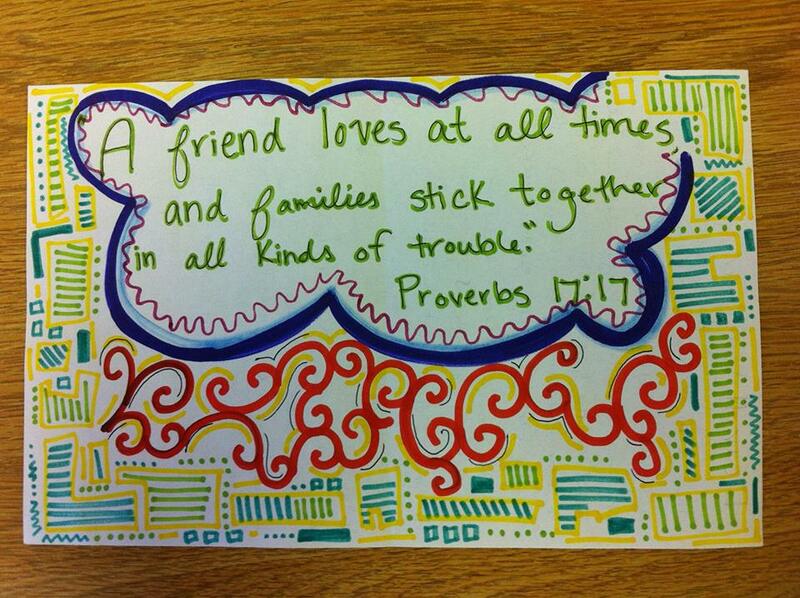 It is so wonderful to see an outpouring of kindness going to a loved one!